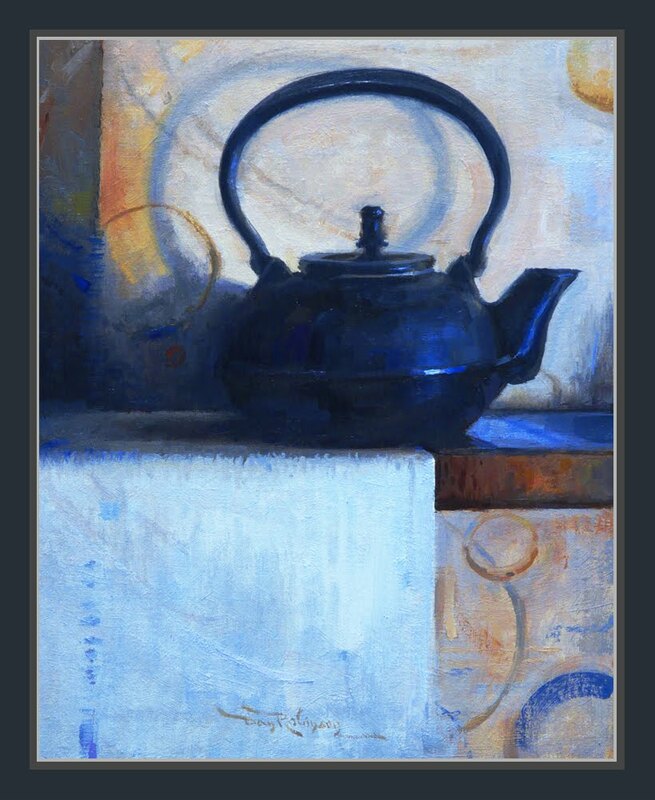 SOLD - Black Kettle - A new piece, painted from a group of drawings done a couple of years ago. Gorgeous! The kettle itself is beautiful, and I like the light on the cloth and table, the shadow of the handle.. .all so well done! Beautiful color, immaculate design. Nice work, Dan!